VELLMARI was delivered in 2006 by the Italian shipyard Dominator. Her exterior lines are designed by the Nuvolari & Lenard Studio and the interior by Team 4 Design. 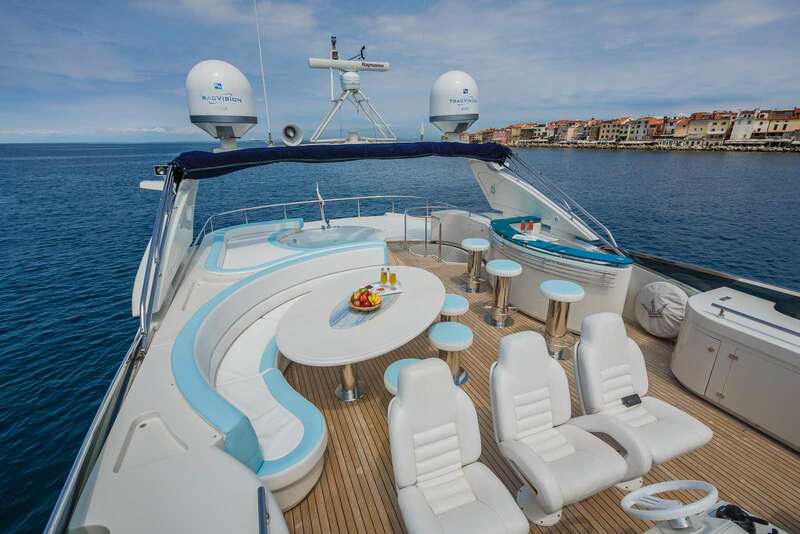 She offers a fantastic flybridge equipped with Jacuzzi, table for eight guests, bar with hand-basin, fridge, icemaker and BBQ shaded by bimini top, al-fresco table on the main deck aft and spacious fore deck equipped with large sun pads. 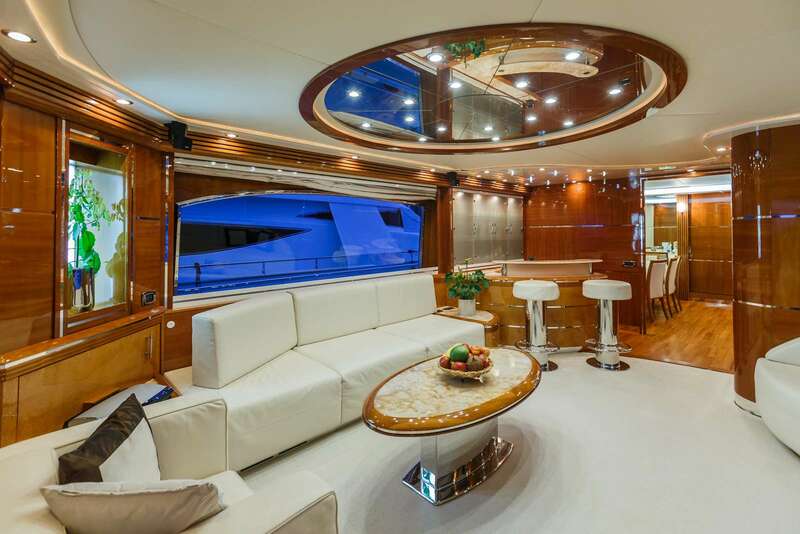 VELLMARI's main deck boasts a beautiful salon furnished with coffee table, soft sofas, flat TV, SAT and Bose sound system. The elegant dining area is separated from the lounge area. 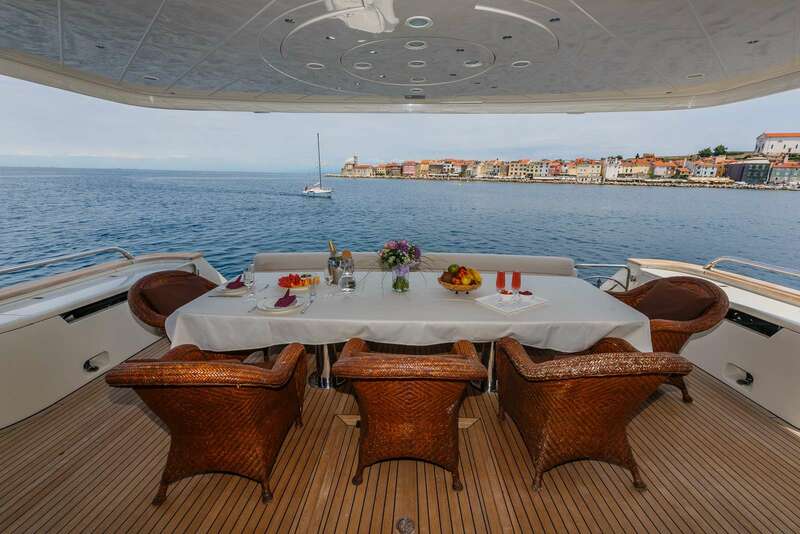 There is a day head available to guests on the main deck level as well. 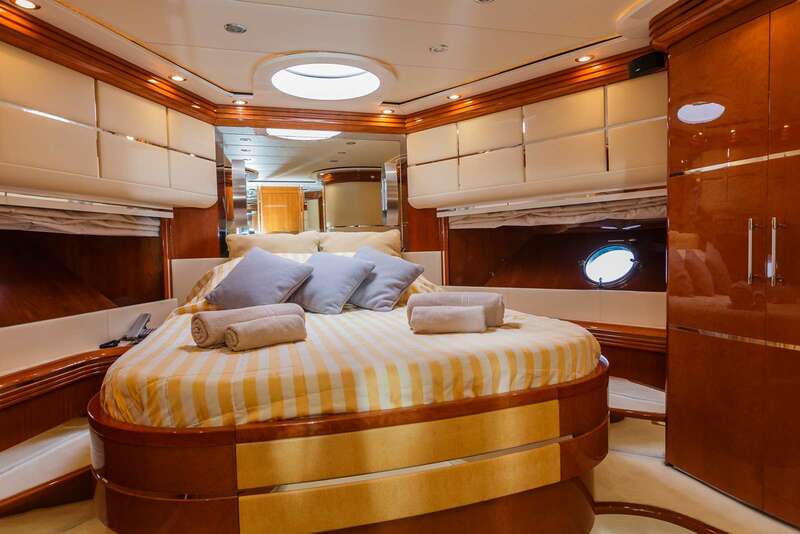 Her layout sleeps up to eight charter guests in two double staterooms and two twin cabins. All cabins are air conditioned with individual A/C cabin controls and are equipped with TVs. 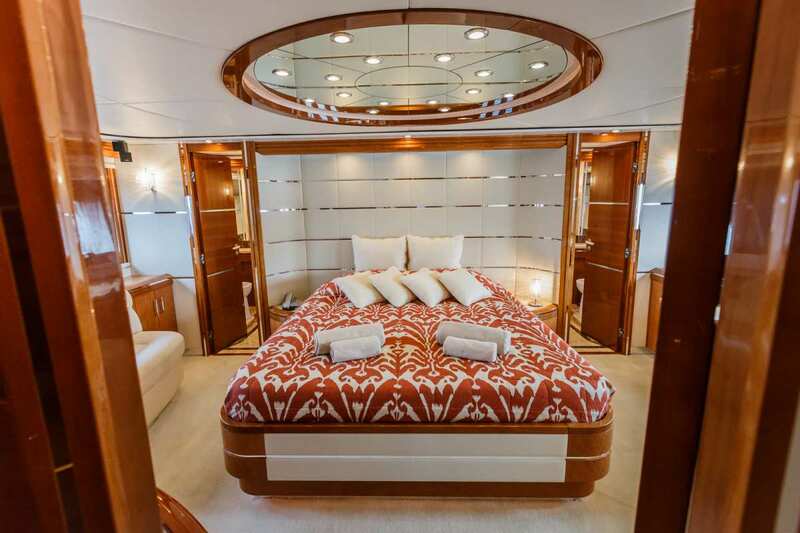 The Master stateroom features a large bed, a sofa, large windows for natural light and views on the sea, an ample beam double en suite with a splendid shower in marble and glass. 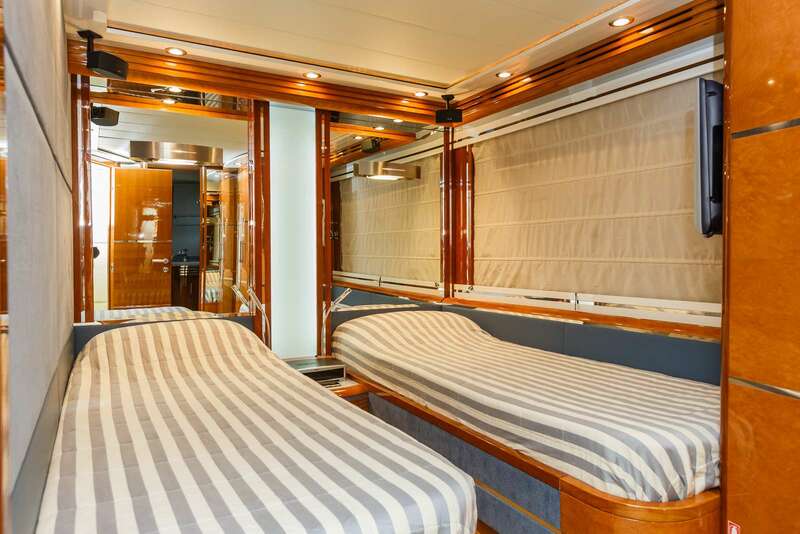 The VIP stateroom is based forward and offers queen size bed and en suite facilities. 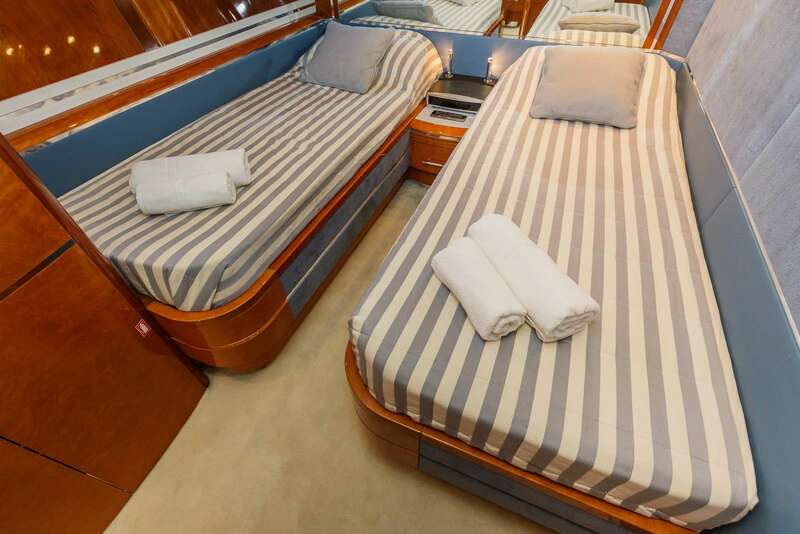 Twin cabins are amidships and both are with en-suite facilities. 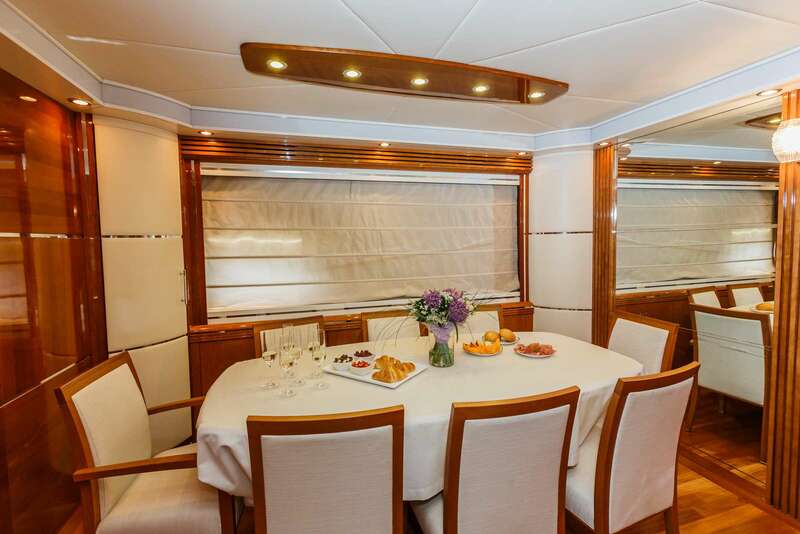 All staterooms and salon are finished in the highest quality materials of refined Italian design. VELLMARI is powered with two Caterpillar C32, developing 1670 bhp per engine pushing her to 25 knots if required. Her usual cruising speed is 20 knots.